Tazio Giorgio Nuvolari was an Italian motorcycle and racecar driver, known as Il Mantovano Volante (The flying Mantuan). He was the 1932 European Champion in Grand Prix motor racing. Dr Ferdinand Porsche called Nuvolari “The greatest driver of the past,the present and the future”. 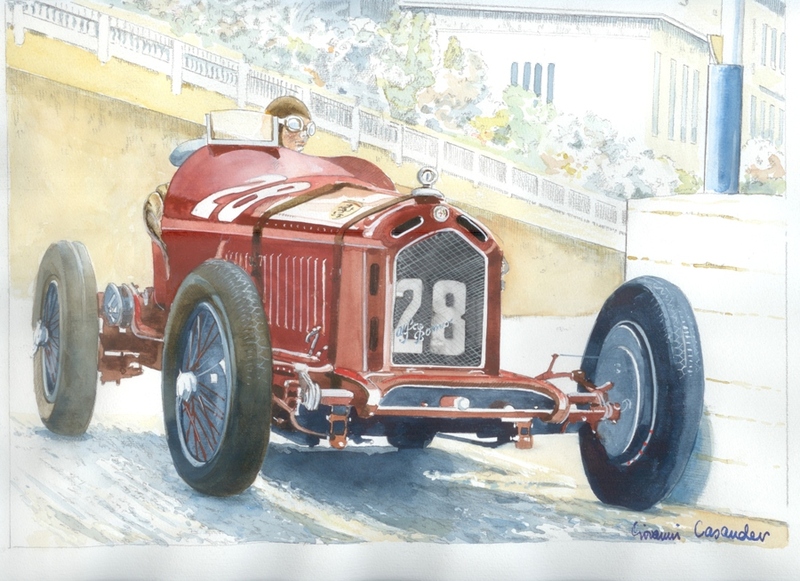 For 1931 he decided to concentrate fully on racing cars and agreed to race for Alfa Romeo’s factory team, Alfa Corse. In 1932 he took two wins and a second place in the three European Championship Grand Prix, winning him the title. He won four other Grand Prix including a second Targa Florio and the Monaco Grand Prix.